According to the most recent Census of Agriculture, the average age of the American farmer is approximately 58 years old, with 33% of farmers 65 and older managing approximately 320 million acres of farmland. With the U.S. Department of Agriculture estimating 500,000 farmers will retire in the next 20 years, the question remains – who will take over the farmland and continue to grow our food? The youth in agriculture, who will comprise of our next generation of farmers, will play an important role in the succession planning of retired farmers and helping to revolutionize the industry to sustain production. Thanks to organizations like 4-H and Future Farmers of America (FFA), this next generation of farmers are becoming educated and prepared to carry-on the responsibilities involved in the agricultural sector. 4-H is a youth development program of our nation’s Cooperative Extension System and USDA that help educate youth on the nation’s top issues such as global food security, climate change, and food safety. The FFA helps prepare them through activities such as providing hands-on work experience ranging from agricultural communications and food science and technology, to turf grass management and wildlife production and management. Whether the student is one from a suburban family being exposed for the first time to hands-on learning in agriculture, or a student from a multi-generational farming family who is being groomed to one day take over the family’s agriculture operation, 4-H and FFA are integral agricultural not-for-profits that help carry on the family farming tradition. According to a 2017 report from the USDA Economic Research Service, family farms continue to make up 98.8 percent of agriculture operations in the U.S. At AgAmerica Lending, we offer alternative lending solutions customized to meet the unique needs of multi-generational family farms. We provide loan products that enable the next generation to continue the family farming tradition and operation, maximizing production, while managing costs through smart financing. We believe in the critical role that youth play in the future of farming in America. To learn more about AgAmerica Lending and how our team can help with your family agribusiness financing needs, contact us at 844-238-5312. 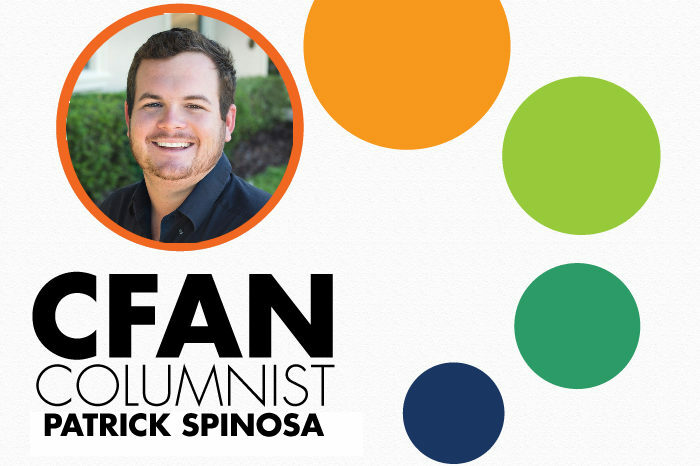 BIO: Patrick Spinosa, a Relationship Manager for AgAmerica Lending, grew up on a fifth-generation Florida citrus and cattle operation. He believes that experience and knowledge are invaluable as he helps secure the financial future of our nation’s farmers and ranchers. For more information about Patrick and the AgAmerica team, call 844-238-5312 or visit AgAmerica.com.